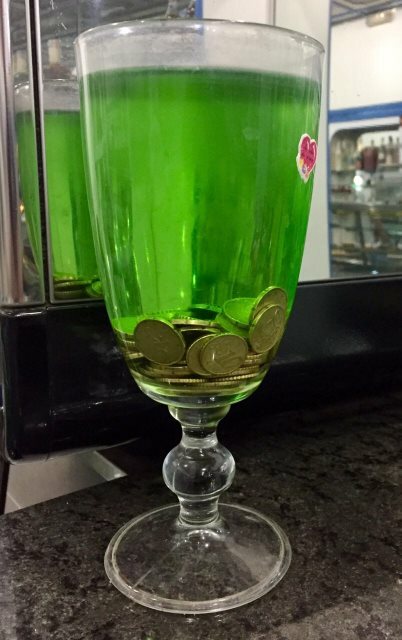 In many cafes in Italy there are glass goblets with coins in liquid on the counter. What is their purpose? Is it for tips or some local tradition (for luck or fortune or whatever else)? If for tips - should I throw my tips in this goblet? You guessed it right: the purpose of the goblet is to collect tips in an original way. You get curious, you ask about it and you hopefully leave a tip. This practice is common in other countries, especially in those where tipping is not expected (as opposed to the USA for example). Not the answer you're looking for? Browse other questions tagged italy local-customs tipping cafes or ask your own question. How to organise a homestay in Myanmar?